Whether you’re searching for a quality DJ for an intimate gathering of friends, event DJ hire for a small office Christmas party or Christmas party entertainment and event management for a large corporate Christmas party, RedLine have got you covered. We have a huge amount of experience providing bespoke and thoughtful parties for celebrations of all sizes and for many different companies. 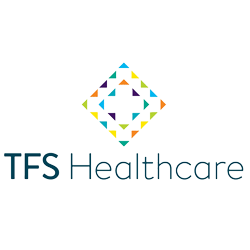 Previous clients include but are not limited to; Soho House Group, Adidas, Squirrel, F45 Gyms, Smirnoff, Mahiki, Paperchase, British Airways, ASOS and The Financial Ombudsman Service. In June 2016 we were even asked to provide the DJs for a week of after-parties for Coldplay’s “Head Full of Dreams” tour so no matter what size your event may be, we are happy to put together a package to suit your budget and requirements. We have a roster packed with highly experienced Christmas party DJs that are dedicated to providing the ultimate in high quality, personalised experiences for any kind of event. 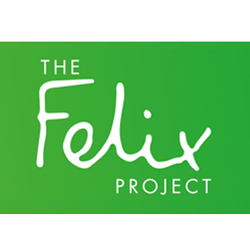 Our DJs have decades of experience in prestigious smaller venues such as Genesis Cinema, Slug & Lettuce and Soho House, right the way through to larger venues like The Forum, The Albert Hall and The Electric Ballroom as well as the always-iconic, Wembley Stadium. 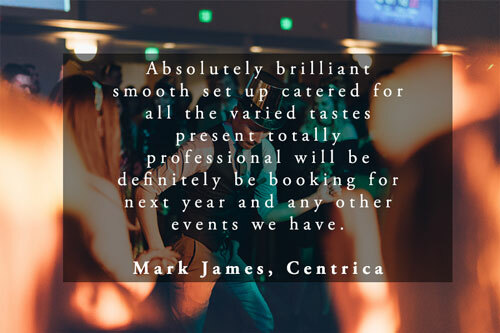 Put simply, we are event specialists with a vast amount of knowledge and expertise at our fingertips – from presenting the very best DJs around, through to providing intelligent lighting design, dance floors and event staging – you can be assured that you are in the very safest of hands. Each one of our DJs is a full member of the National Association of DJs (NADJ) and all possess personal public liability insurance up to £10m. All of our equipment is also regularly PAT tested to ensure that the highest safety and security standards are kept to as a matter of course. 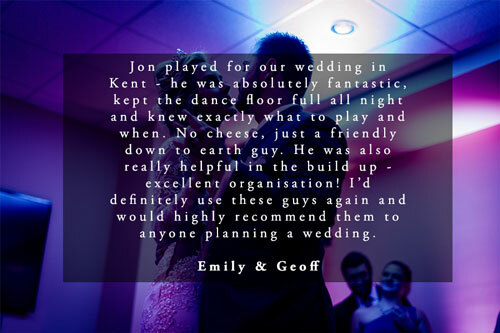 We know that every workplace is different and therefore that every event is different so we work tirelessly to ensure that we tailor a setlist to your event’s exact requirements as well as putting together lighting and staging packages that fit with your budget and venue as well as the feel that you want from your night. In short, we work with you to make your Christmas celebration perfect. 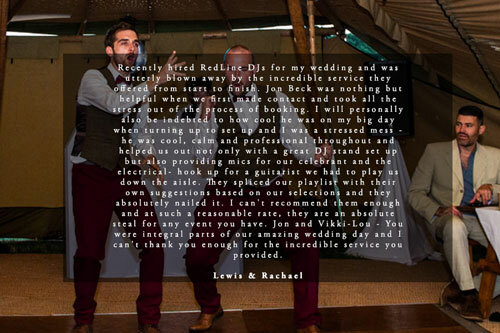 Sadly, the stereotypical, cheesy mobile DJ is an enduring fixture at every event from weddings through to birthdays and Christmas Parties but at RedLine we are on a mission to ensure that those kinds of DJs are consigned to the past. We therefore offer a high quality, modern service for forward-thinking companies and individuals that want a DJ service that uses high quality, modern equipment, and doesn’t turn up and run through tired and out of date playlists that haven’t been updated for a decade or more.